Personal computers for recording, mixing and audio processing are the bedrock of the modern recording studio. What computer should you choose? Are Conventional Choices The Way Forward? Audio professionals have some “must-have” requirements. They must be reliable, fast and robust. Until recently, Apple Mac computers have, for the most part, been the defacto-assumed computer for the recording studio. More recently, even die-hard Apple fans are concerned with the lack of updates to models like the Mac Pro and Macbook Pro aimed at professional musicians and studios. Many are questioning if Apple has moved on from the professional creative users. Audio and music production not only requires it, but deserves a purpose-built PC. If your computer can’t cut it in the studio, the whole session comes to a grinding halt. Isn’t it about time that you got a high performance, reliable, purpose-designed computer to be the central nervous system of your studio? The iZ RADAR is the top purpose-built audio workstation computer in the world. 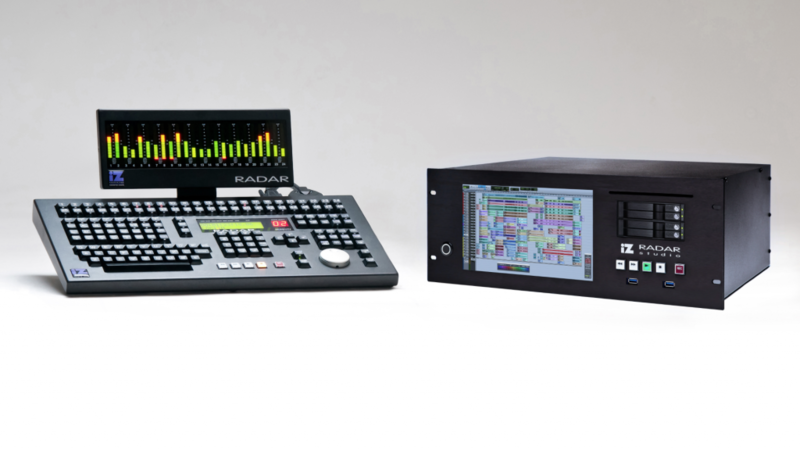 From its motherboard to its internal storage to all of its expandability and interconnectivity, RADAR is made for music. A quad-core i7 processor and internal SSD boot drive (250GB or 1TB) launch your studio. You go from hitting the power switch to launching your favorite DAW in less than 30 seconds! The Windows 8.1 Professional OS is optimized by the iZ team to stabilize and de-clutter your computer. Of course, you’re able to use RADAR like any other computer – browse the web, install 3rd-party applications such as plugins, or Microsoft Office. Made for music, RADAR features up to 24 channels of our world-famous analog I/O integrated right in, along with AES, WC, SPDIF, SMPTE/EBU, and MIDI interfacing and five PCIe slots where you can insert cards from Avid Pro Tools, UAD and others. AES 24 I/O and ADAT 24 I/O are also options for the built-to-order machine. And for those moments where you need help troubleshooting your system, iZ is there for you with ten years of free tech support. There is no time for downtime. If you are wondering what your next computer should be for running your studio, then you should consider RADAR. High performance, reliable, and built for the music producer. That’s RADAR.